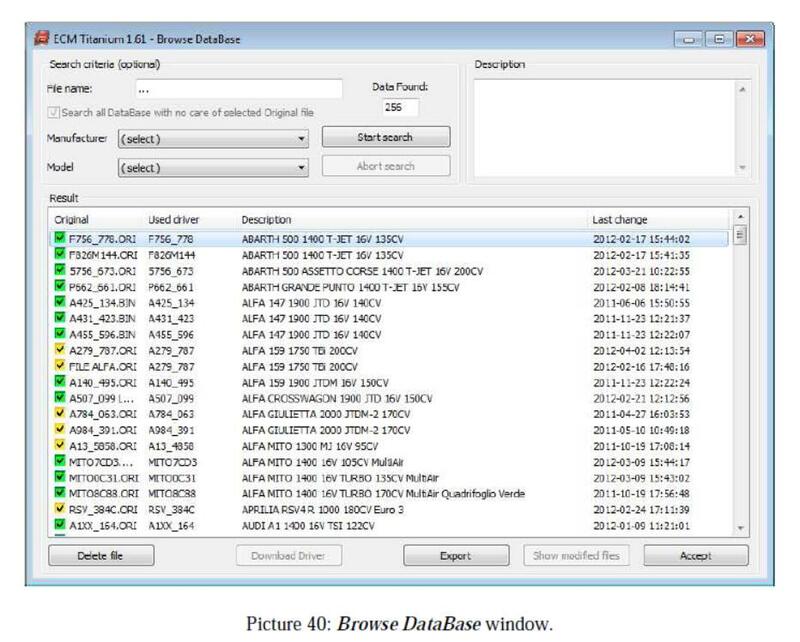 As described at the end of How to Choose Right Driver to Original File for ECU, at the end of the Drivers association procedure ECM Titanium asks if you want to save a copy o of the stock original file in the personal Database (Picture 39). The personal Database is stored in the USB dongle and contains all the stock original files, the related Drivers, and the modified files previously saved with the software. 1.Click the Open button on the right of the number indicating the amount of original files stored in the Database. 2.From Browse Database window, choose the desired Manufacturer and d Model. 3.Click the Start Search button. 4.Select the desired original file. If you have previously added a d description to the original file saved, it appears on the top right of Browse Database window (Picture 40). 1.Click the Open button on the right of the number indicating the amount of original files stored in the dongle. 4.Select the original file from which you created the modified file. 5.Click the Show modified files button. 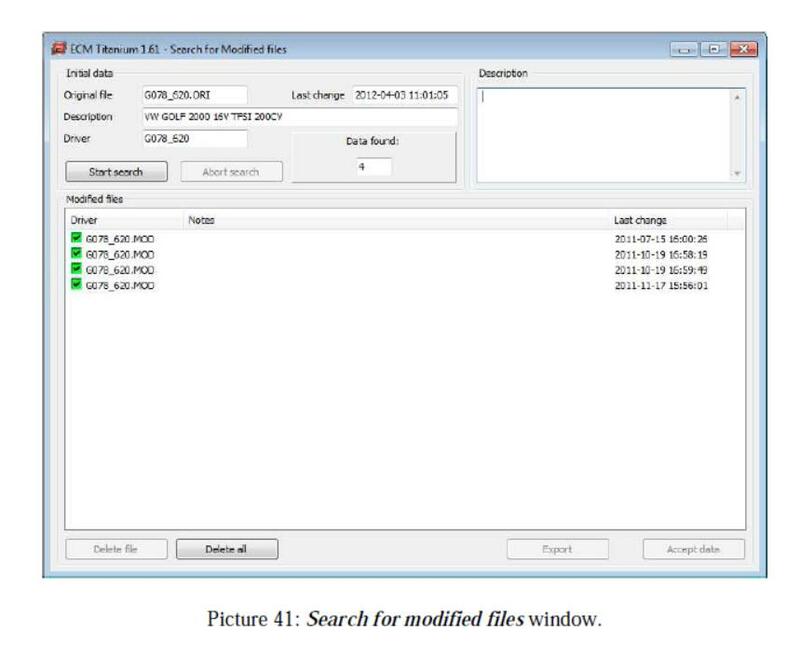 6.Select the desired modified file from the Search for Modified files window. 7.Click the Accept Data button. If you have previously added a d description to the modified file saved, it appe ears on the right top of the Search for Modified files window (Picture 41).